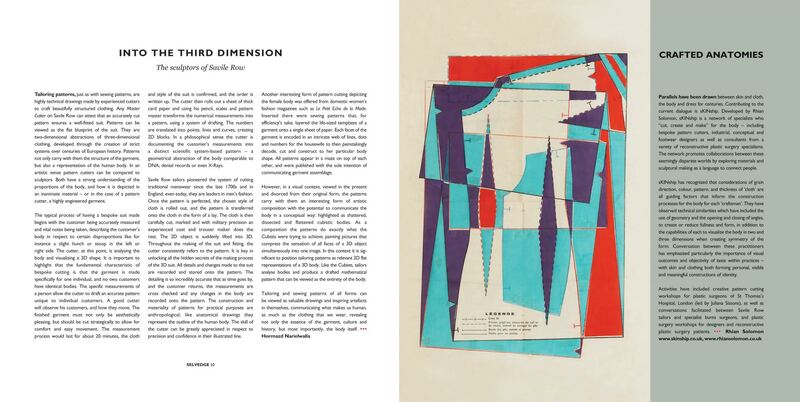 UK-based artist Hormazd Narielwalla creates colorful, geometric collages from tailoring patterns, exploring form and figuration found in abstraction. Winner of the Saatchi Art Showdown prize for ‘The Body Electric’ in 2014, Hormazd has received international acclaim for his collages. Check out Hormazd’s portfolio on Saatchi Art to see more of his work. 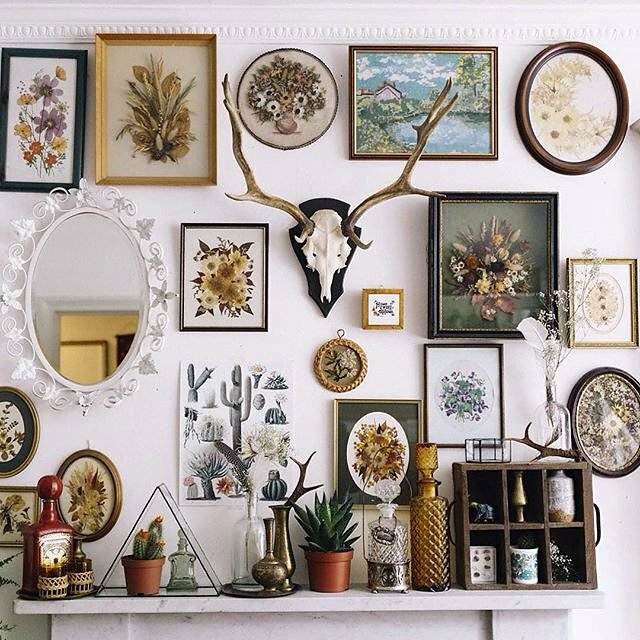 There is no formula to a perfect gallery wall. It’s a practice in being experimental and loose, a chance to display all of one’s odd bits and ends fashioned together. This week Vogue offered up some expert tips on how to reinvigorate the gallery wall, making it more dynamic. Lifestyle blogger and television host Emily Henderson suggests mixing in different textural elements like mirrors or a clock alongside original art and prints. Head to Vogue for more tips and ideas, and check out our 3 steps to building a gallery wall to get started. 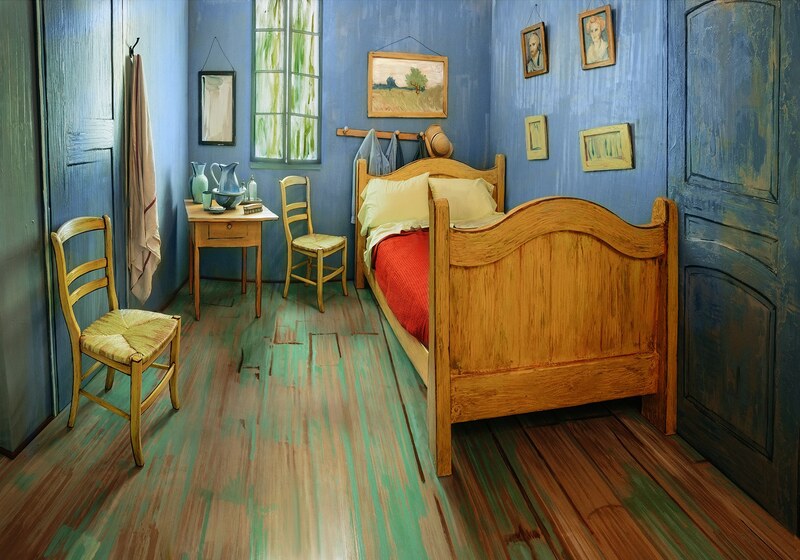 Part of the Art Institute of Chicago’s forthcoming exhibition Van Gogh’s Bedrooms, the artist’s post-impressionist bedroom has now been brought to life as fully functional. The room even has its own Airbnb listing, offering the chance to stay in the space for a mere $10 a night. With Valentine’s just a few days away, we thought we’d take a look back on those works that capture the essence of the holiday: love. There are countless works throughout art history that evoke love in its multitude of forms. 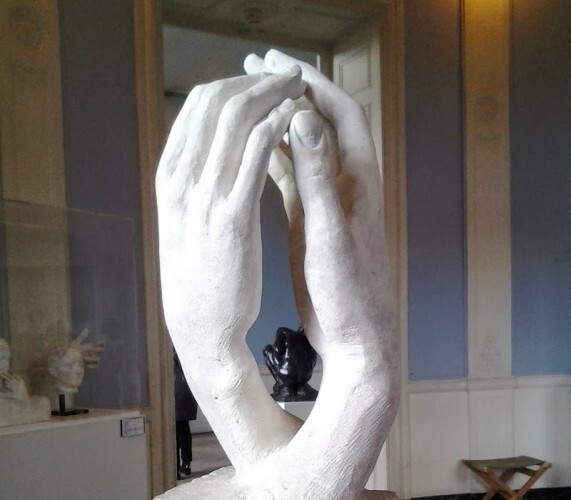 We’ve compiled our top 7, from Schiele to Bernini. Check out 7 Famous Lovers’ Embraces in Art Throughout History. 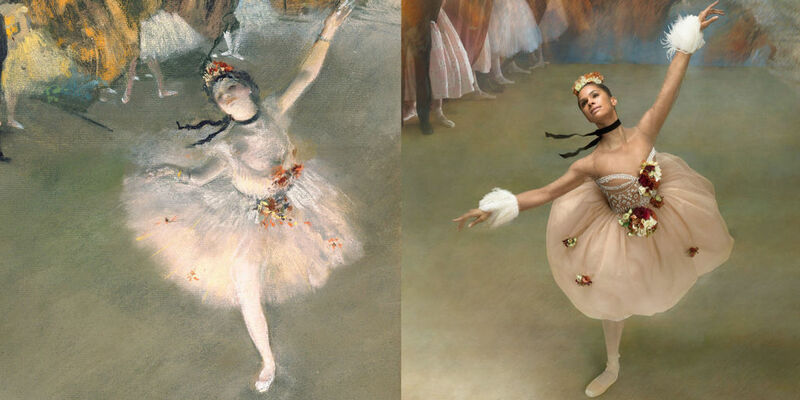 Degas’ iconic dancers have come full circle this week, starting with the artist’s initial inspiration then created into a painting, again interpreted into real form. Principal dancer at the American Ballet Theatre Misty Copeland mirrored Degas’ celebrated dancers, maintaining all of the grace and poise while imbibing her own unique sense of movement. Misty is the first female African-American principal dancer, captured in all of her glory here by Ken Browar and Deborah Ory for Harper’s Bazaar to bring Dega’s dancers into the 21st century. 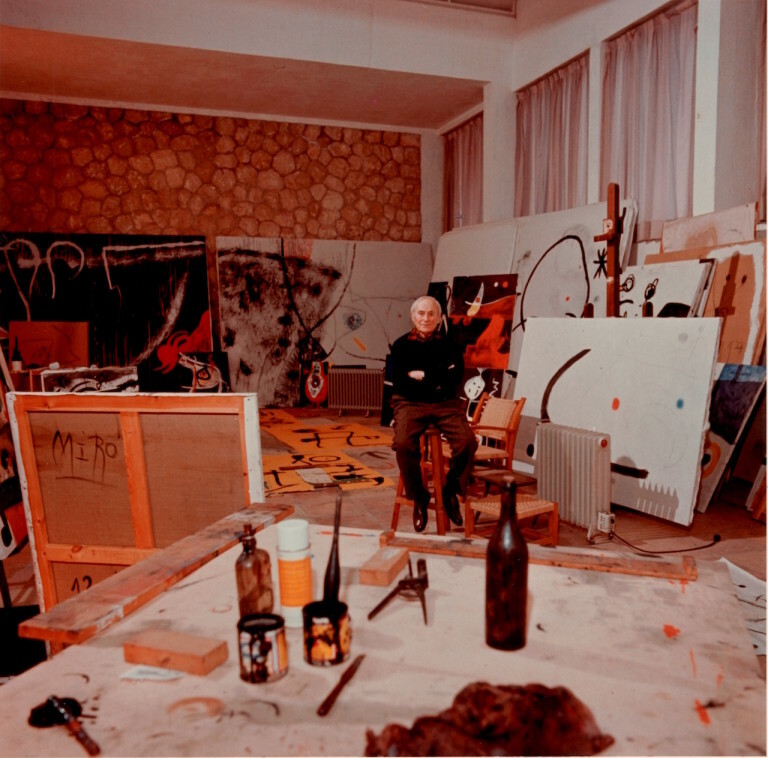 Spanish painter Joan Miró always dreamed of a large studio, an aspiration realized in 1956. Alongside his good friend and architect Josep Lluís Sert, Miró built a spacious studio on the Mediterranean island of Majorca, where he would paint until his death in 1983. In honor of its 60th anniversary, the studio was revived and brought to London’s Galeria Mayoral. Visitors enjoyed replicas, drawings, objects, and an array of the artist’s newspaper clippings, photographs, and more. Facebook is becoming notorious for their strict and often downright prudish treatment of artwork. This week was no exception when the Philadelphia Museum of Art posted this above work to their Facebook page, only to have it removed for, “containing excessive amounts of skin or suggestive content,” reports the Independent. 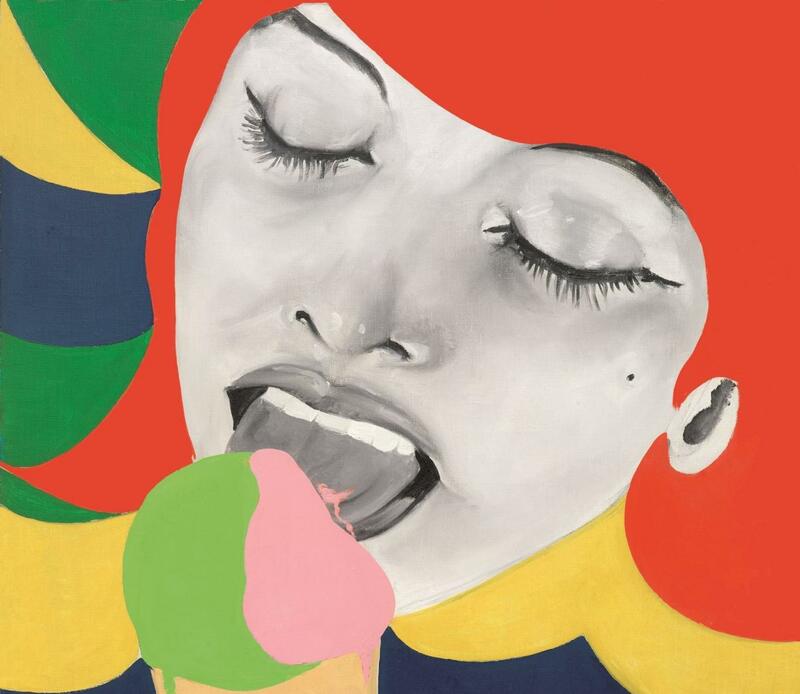 The Museum responded by championing the importance if the work, as an early pop art work by a female artist presenting the female subject as anything other than passive.